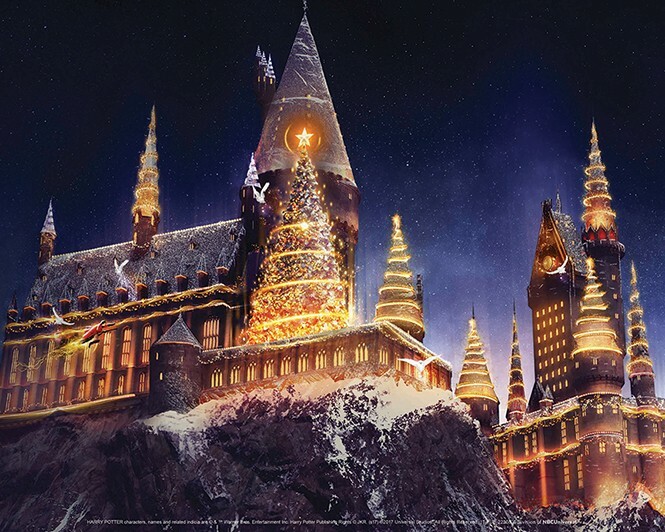 Christmas in the Wizarding World, Illuminate Salt Lake, David Kranes: Abracadabra and more. Every year around this time, mall lines expand, Amazon orders soar and, along with the busy-ness, tension runs high. Few people would list shopping as a fun experience they look forward to.But The Shops at South Town is determined to change all that with Christmas in the Wizarding World. The first event of its kind opens this year in several cities, combining elements of holiday shopping, winter festivities and J.K. Rowling's beloved Harry Potter series.Several mall retailers offer items Rowling created for her wizarding world, many of which, can't be found anywhere else, according to The Shops at South Town Marketing Manager Heather Nash. Among them are Honeydukes-style confections, Ollivander's-inspired wands and much more, from both Harry Potter and Fantastic Beasts and Where to Find Them. Games like an interactive Quaffle Toss, animated windows and photo opportunities add to the magic, creating an immersive—and fun—shopping experience available nowhere else in the state. Plus, since the festivities run through January, "There really is an opportunity for everyone to come down to experience Christmas in the Wizarding World without feeling like they have to be there the first weekend," Nash says. Seeing your city in a whole new light isn't something many people have the opportunity to do. Now, Illuminate Salt Lake is bringing together artists and performers to radically change downtown for just two evenings. Food, drinks, live music, light shows, art installations and much more will transform the city into a technological wonderland. Derek Dyer, executive director of the Utah Arts Alliance, describes the festival as "a free two-day community art event and a celebration of innovation and imagination for the community, art lovers and families." He also says he's excited "to see the community get together and experience light art" at this diverse festival. 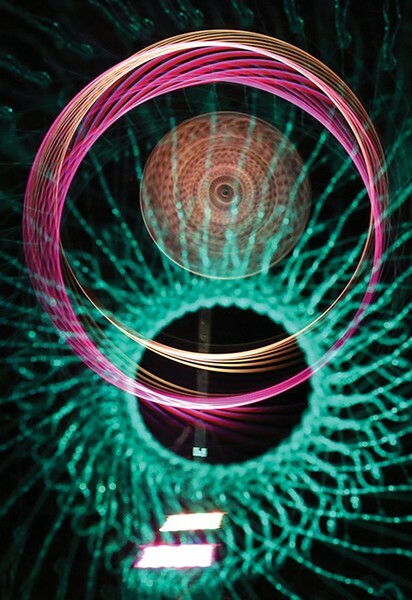 More than 50 artists will use lights and technology to build installations and perform at venues including The Gateway, Eccles Theater and the Utah Museum of Contemporary Art. To enhance the experience, festival goers can download the new Illuminate AR app onto their smartphone, allowing them to alter the existing exhibits and view virtual artworks. What happens when a magic act goes too well? That's the idea behind David Kranes' new novel Abracadabra. It begins with Mark Goodson, a seemingly well-adjusted man who is a participant in a Las Vegas magic show where he is made to disappear—but doesn't reappear. That vanishing act unfolds into what Kranes describes as "events which are mysterious to the central character." That character is Elko Wells, a former professional football player who manages a missing-persons detective agency as well as a celebrity-impersonator business. Wells suffered a career-ending concussion, which also gave him the abilities to hear voices and recognize patterns. Those unique talents assist him in his search for Goodson, where he's also hepled by a group of cocktail waitresses called "The Bloody Marys." Kranes—the award-winning writer of short stories including the Pushcart Prize-winner Cordials and nationally produced plays—has served as the artistic director of the Sundance Playwright Lab for 14 years, and also taught at the University of Utah. 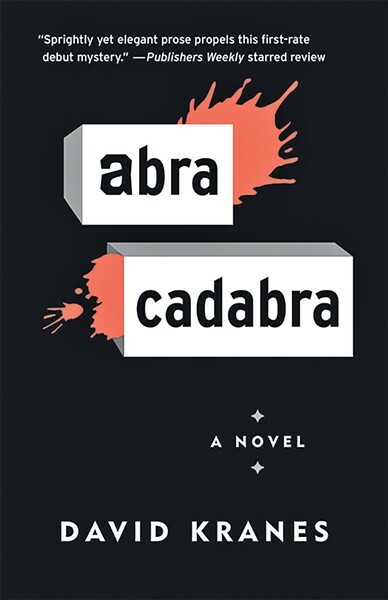 The inspiration for Abracadabra, his first noir novel, was built on Kranes' fascination with what he calls "dream space," or "the mix of possible and impossible is part of the attraction of a magic show." Classical music isn't for sissies or snobs, and Pacifica Quartet can prove it. Formed in 1994, this Bloomington, Ind.-based ensemble is internationally acclaimed as one of the finest chamber quartets in the world, thanks to its fusion of Beethoven, Brahms, Mendelssohn and Shostakovich and daring new works by some of today's most remarkable young composers. They certainly have the kudos to show for it—among them, various Grammys and a host of prestigious awards representing the highest achievements in classical creativity. 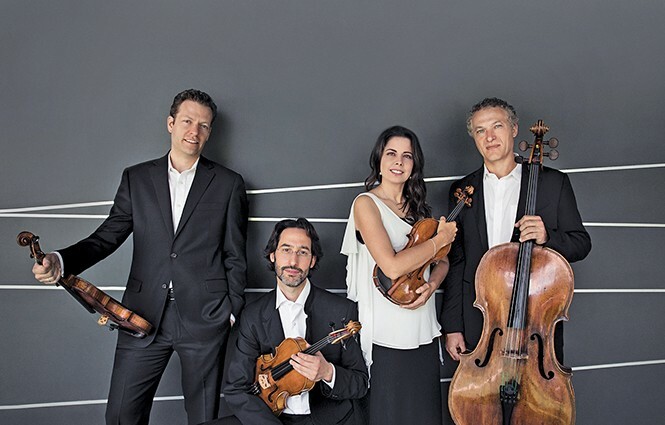 Consequently, any performance by this well-seasoned foursome—Guy Ben-Ziony (viola), Austin Hartman (violin), Simin Ganatra (violin) and Brandon Vamos (cello)—becomes a remarkable experience for those who savor strings, or anyone seeking to expand their musical parameters. Each member of the quartet is an individual virtuoso, and together, their deft execution, sweeping arrangements and sheer daring have dazzled audiences. For their upcoming appearance, the group is scheduled to perform three works, a program that Vamos promises will provide a variety of moods and motifs. "The Haydn quartet is one of my favorites," he says of the first. "It's full of wit and humor and great surprises." The second, Shostakovich's third quartet, he describes as "an epic journey for the listener." Vamos calls the final selection, Beethoven's 59, No. 3 "a real masterpiece ... an exciting and energetic fugue."